Sheryl Crow – Live at the Capitol Theatre (Blu-Ray Review) – Cleopatra Records, Inc.
Sheryl Crow was among music’s most reliable unit shifters throughout the mid-’90s to the early 2000s. From her 1994 breakout smash “All I Wanna Do” to her first-decade capper The Very Best of Sheryl Crow (2003), Crow could be counted on to deliver hit singles and platinum-certified albums regularly. Then a number of factors�the primary one boiling down to the fact that her fan base, by and large, aged out of the album-buying demographic�combine to absolutely decimate her sales (along with so many other hit-makers of her era). But Sheryl Crow is indeed still touring and releasing great music. Her latest is a combination live video/album called Live at the Capitol Theatre. Taped November 10, 2017, this Blu-ray-plus-double-CD set contains several tracks from Crow’s most-recent album, Be Myself. Naturally, it is also well-stocked with hits and popular album cuts that span her career. The venue is the intimate (and historic) Capitol Theatre, in Port Chester, New York. The 1,800-capacity hall opened in the 1920s as a cinema, but since converting to live-music events has hosted countless legends (Janis Joplin, David Bowie, The Rolling Stones, The Grateful Dead, to name a few) over many decades. Via between-song interview clips during the Blu-ray presentation, Crow talks about the sense of occasion as she and her band played the Capitol Theatre for the first time. From the opener “Every Day is a Winding Road,” the band hits the ground running. 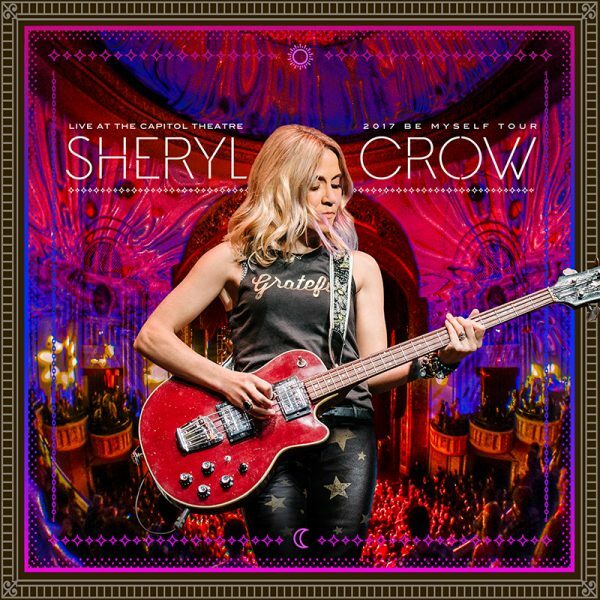 I’ve personally had the pleasure of seeing Sheryl Crow in-concert three times over the years and it’s clear when watching the new video�this presentation effectively captures the energy and joy Crow brings to her performances. Those seeking the big hits will enjoy “All I Wanna Do” (placed quite early in the set list), “My Favorite Mistake,” her cover of “The First Cut is the Deepest,” “Leaving Las Vegas,” “If It Makes You Happy,” “Soak Up the Sun.” What’s great about the Cleopatra Entertainment release is the accompanying two-CD set that contains the full lineup of tunes. For those who primarily listen to music on-the-go, and not as often while sitting in front of a TV, the audio-only option is perfect. The Blu-ray contains a 20-minute interview feature with Crow that allows viewers to get to know her a bit better, adding to the already generous value provided by the two-hour concert and CDs. Sheryl Crow: Live at the Capitol Theatre is also available as a standard DVD/CD set as well for those fans who are not Blu-ray compatible.